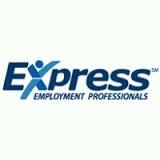 Express Employment Professionals is a leading staffing provider in the U.S., Canada and South Africa. Every day, we help job seekers find work and help businesses find qualified employees. Express Employment Professionals puts people to work. The company generated $3.05 billion in sales and employed a record 510,000 people in 2016. Our long-term goal is to put a million people to work annually. Founded in 1983, Express has more than 770 franchise locations worldwide. Express Employment is a temporary employment agency. 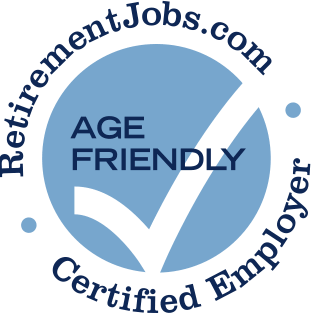 I have filled out paperwork and applied for several jobs for which I was overqualified but still interested because I am retired and wanted a part-time temporary job. Twice I was lead to believe that the perfect temporary job placement was imminent and they just had to confirm the schedule with the client. Both jobs fell through with no explanation. Other times, when I applied for specific postings on this temp agency's website, nobody from the agency contacted me. Yet they continue to text me from time to time to go over my interests so that they can keep my file active. ????? I don't think these recruiters are competent. I recently applied with this company twice, and my qualifications for the position was over and above the requirements. When I spoke over the phone with the manager I was told that they had chosen me for the Assistant Admin position, but after going in for a face to face interview, I was merely hired on the spot for other positions and the the Admin position was already filled?? and the staff was all White except a couple of Hispanics in the back office. I am still waiting for work placement; the work environment was not friendly although they tried to be polite they ask if I was whom they spoke to on the phone and I said Yes! I was not what they had expected I am very well spoken and I am educated.This was not only my age but my race I'm Black, so I was not good enough. Several weeks after that the same position was open again at the same location I once again applied and I did not get the job but when I inquired I was told that it was offer to another person. Indifferent to age, will often send older workers out to physically demanding labor assignments no matter what--even if physically challenging, beyond the efficient capacity, of the older worker.